Hyperion battery tap adapter for use with Marine Power / Thunder Power / Vislero / Flight Power taps. 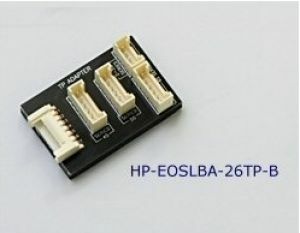 This adapter allows you to balance a 2S to 6S via one harness. Great adapter when you have packs with different cell counts. Eliminates the need to purchase individual harnesses. Works with Hyperion chargers / balancers only. REQUIRES: 1 hp-lb10-ext Cable(these come standard with the Hyperion Chargers we sell). Plug only 1 battery in at a time during balancing.